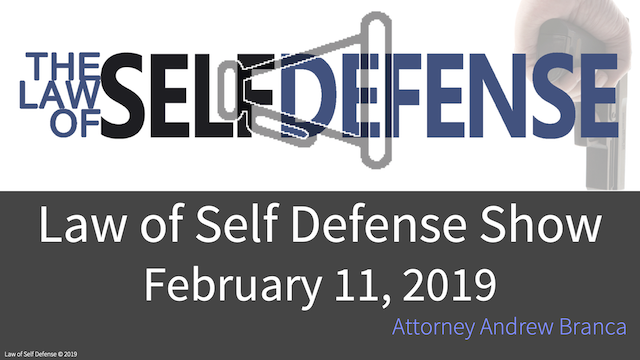 This week’s Law of Self Defense Show is a Q&A episode, in which we address selected questions and scenarios submitted for our consideration by email to show@lawofselfdefense.com. Finally, we announce a 50% off sale on our Law of Self Defense LEVEL 1 state-specific DVD and online courses for the states of IL, AZ, LA, NM, and DE—save about $50, but ONLY THROUGH THIS WEDNESDAY, February 13. You can find this week’s Law of Self Defense Show at lawofselfdefense.com/blog.